OBD is the acronym for an On-Board Diagnostics. Well, we get a slight hint as to what is an OBD and what is the crux on which it is going to function. It is the OBD which is going to help you in diagnosing a problem. What problem? Allow me to elaborate. 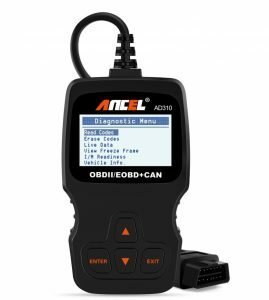 The OBD scanner is closely related to the functioning of a car and a truck. 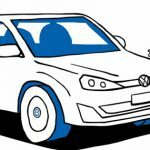 Ever since the sun began to shine on the auto industry, each car that rolls down an exclusive car showroom has been fitted with a standardized computer system. These computers are going to become the dictators of the car and are going to have a far-sighted approach as to how is the car going to function. Specifically, these systems have been installed in the first place to keep a check on the emissions as well as the electrical sensors of the vehicle. The information is continuously being stored in a database of the car/the truck and can be extracted as and when required. Nonetheless, there is a specific procedure that we are required to follow to extract this information because nothing comes easy when it’s a four-wheel vehicle. We are sure you have guessed it! This extraction process is carried out by OBD. An OBD is going to help you figure out the problem your car is facing before the driver even gets acquainted with the problem. Let’s assume that your dashboard warning light has been flashing, but you can’t seem to figure out what is the problem. All you have to do is plug-in your OBD into the OBD port so that you can find what is meddling with the functions of your car. It is the OBD that is going to output the fault codes. This allows you enough insight as to what is the fault and how are you going to figure your away about it. Well, OBD2 testers have taken over OBD1 because of standardization issues. With the advent of OBD2, it became easier to diagnose the problem since the trouble codes remained the same through all makes of cars. OBD2 has evolved to become an imperative in the cars as well as trucks because of the simplification of the whole process of troubleshooting. Alongside this, the OBD2 keeps a tab over the emissions. This in itself is clear enough that OBD scanners are worth your money. OBD2-Code reader: These devices are going to lie on the lower side of the price spectrum. The primary function of this device is to read and clear codes. They cannot provide you with a lot of tasks because of their lack of manufacturer-specific codes. 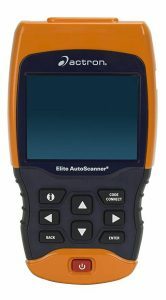 OBD2-Scan tool: This is supposed to be your go-to resort if you are interested in advanced troubleshooting information and this tool is going to allow you enough insight into the manufacturer-specific codes. You can also access live as well as recorded data employing this tool. Thus, it remains a recommended tool as far as the health of your car is concerned. Figure out for yourself: Gone are the times when the mechanic is going to turn the engine on or pull up the bonnet of your car to fix what problem a car might be facing. With the change in the century, we have come across the fact that like people cars have become smart. Thus, it is going to act as a load on your pocket – if someone else is going to check the problem for you. What you can do instead is dependent upon your OBD to help gather the required information for you. You could attend to things which are feasible for you; otherwise, a mechanic would do an excellent job for the same. Minor Repairs: Since we have already mentioned that you can attend to the minor repairs, it is going to allow you to save a great deal of money. If you are going to visit the mechanic for such petty issues, they are going to make sure that you are robbed off of your money. Thus, to avoid instances of the sort – you can resort to an OBD. Also, you will be aware of the issues that the mechanic is going to deal with; thus, they cannot con you for anything, and you will be charged a fair price. 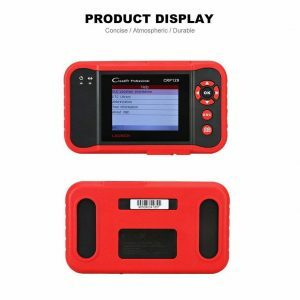 There have been users who have often registered complaints that the OBD scanner purchased by them is not supported by all the cars, or that it supports the vehicles which have been manufactured in one particular country. 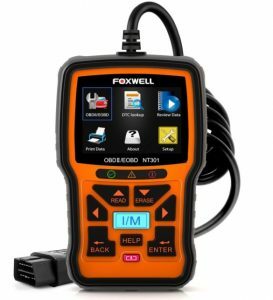 Keeping this in mind, Foxwell has developed an OBD2 scanner said to interpret and read the codes of 32 international car manufacturers. This claim, however, remains that it is compatible with all the cars that are manufactured after the 1st of January, 1996. This scanner, in particular, is known to be the “vehicle doctor,” it diagnoses the problem quite appropriately. Additionally, the device is equipped to display graph as well as text forms. Also, it will read and clear all error codes – which makes it easy to use. The big screen further decimates the trouble which otherwise would have been possible, and it is equipped with a vividly clear keypad which keeps you from getting baffled about the procedure of its usage. Alongside, the scanner is also capable of reading live data in the text as well as graph formats. This means you can detect any symptom which is likely to serve as a problem in the upcoming future. The scanner does not require a battery and can charge itself up when plugged into the OBD2 car scanner interface. We would be all in to buy this scanner because it is entirely worth the money and it may serve lucrative shortly, as well. Also, you can change the language of the display to meet your needs. Your data is meant to be backed-up on this device; this makes it easier for you to remedy the situation quickly in the future. Thus, what’s not to like in the scanner? This model is going to ensure that your dashboard warning light goes off. The accuracy that it operates with, it is going to get ahold of the error in minutes and make sure the error code away in a timely manner. This is going to augment the whole procedure of remedying the problem, and there are several troubleshooting tips that this device is going to provide to aid you better. This OBD scanner can test for you whether your car is equipped to pass the smog test. Thus, you will know whether your vehicle is in an appropriate condition or not. However, this particular device is not going to suggest ways in which you can better the health of your car. Thus, you might need technical help in this realm. The device is compatible with all the vehicles that have made to it to the market in the post-1996 era. It is also expected to render its uninterrupted services to all the newer vehicles which have been installed with an OBD scanner port. The device is also capable of devising generic as well as manufacturer-specific codes. If you are acquainted with the technicalities, you could attempt to use it your best effect. These will serve as a path for you to save money. Thus, our team would chip into benefit from such a fantastic device. The makers of this particular scanner are of the view that this device can retrieve more data from the system so connected than any other device so concerned. 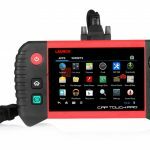 The first time that you launch this too – it’s going to take time to configure, but once it has been done, it is going to give you one of the best OBD scanner experiences you have had. You will be put to use the latest version of the update on the device. This is going to allow you to gain access to better features than the ones running on a fundamental scale. After this, you are going to observe that the speed of the device has ratcheted up several notches. The scanner is in possession of the same skills as that of any other OBD scanner. However, you can draw a fine line between all other scanners and this one as soon as you have a look at the latter’s orientation. The screen to the CRP129 is horizontal which allows you to read the nuances of the graph and understand what is up with your vehicle. Additionally, this device will help you to reset the codes of the Oil Service Light, Electronic Parking Brake, and Steering Angle Sensor (SAS) which may appear on your dashboard. Not all other OBD scanners are capable of doing so; thus, it comes in handy if you are interested in manipulating the stated codes. The accuracy of this device is in no manner a realm that can be questioned. Do not judge this device for its simplistic design. It is capable of doing wonders. The simplicity in the design is going to be even better when you are a beginner at this. It is just as efficient as all the other OBD scanners that have been mentioned in this list. It will output the codes in a jiffy and will help you understand the crux of the problem and how is that you are going to resolve the issue. Given its design, it is going to save your time, and you do not have to invest a massive amount in the device for the results. The OBD scanner is equipped to work on most of the vehicles which have been manufactured post-1996. All aside, it will easily indicate what has led your “dashboard warning light” to lighten up. The device is not in need of a charger; instead, it can generate its battery after being plugged into the OBD2 port in your car. The large LCD is going to allow you to read everything with utmost clarity. Also, the number of buttons which are going to allow you to navigate through the device is quite simple which is going to simplify the whole process even further. The device is not meant to weigh heavy on your pocket but is intended to render you with the best of the services that you are in search of. The tool at first might appear to be like a smartphone. 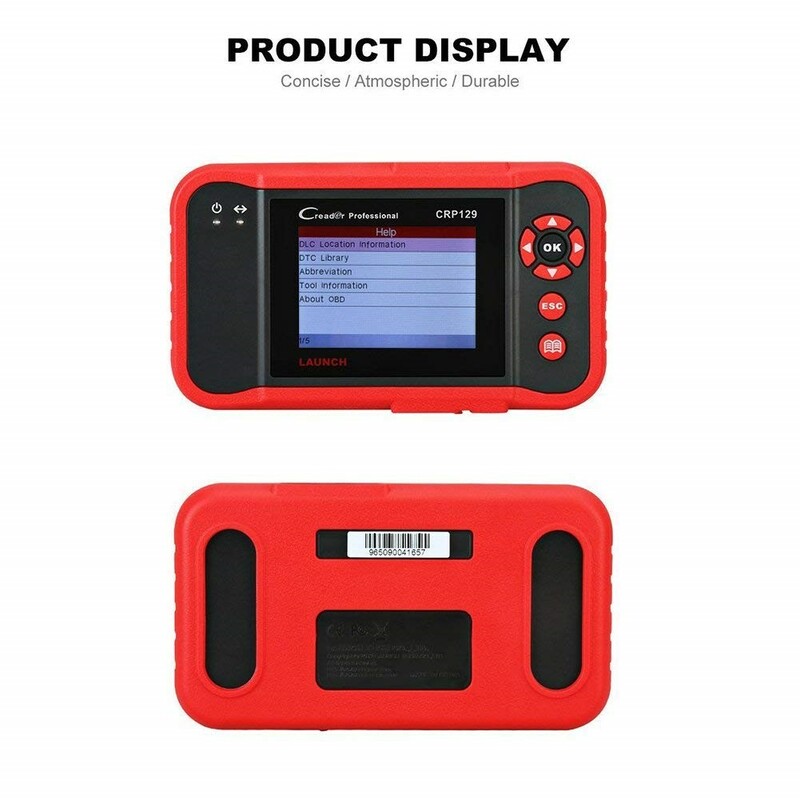 But when you finally get an insight into the product you are going to recognize that this one OBD scanner has been developed for you to get a better understanding of the enhanced codes of your vehicle. The product is capable of reading generic as well as manufacturer-specific codes as well as focuses on the code that has led the dashboard warning light to flash. 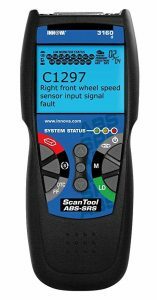 After having a look at this device, you are bound to feel a weird sense of competence as well as complacency because deep down you know this device can do wonders as far as solving the issues to your vehicle is concerned. The device is going to make sure that it records, plays back as well as displays live graphs. The device has been fed with a database which it is going to go through when it figures out what the problem is. It is going to make sure that it comes up with the best fix for all of your vehicle problems. However, the amount of investment that you will have to make for this particular device is going to be on the higher side of the spectrum; thus, you are supposed to take into account various components which are going to allow you to decide whether this is the best buy for you or not. This scanner is one of the most accessible tools that you are to across because of the ease it offers in using as well as reading the codes. Apart from this, you are going to get the advantage of choosing from a range of languages in which you can access the information that is being dispatched by the device. Like all other OBD2 scanners, it is going to be compatible with vehicles which have been made after 1996. The device is capable of transferring the codes to the PC whereon you can print the codes. The device has been equipped with a particular key that sets it apart from all other devices. The key is going to allow you to access a database that has been knitted using 26 million fixes which could resolve the problem that led to your dashboard warning light to flash. The device is a little more expensive than you think it might be but it is going to render the right services which our team completely seconds with. However, your choice to buy the tool depends upon the relative factors which affect your purchase. Our team was not entirely convinced with the size of the device, but once you put it to good use, you are going to realize that it is going to master efficiency better than any other device that we have come across, thus far. You will be able to find solutions to the all your dashboard warning light problems for the cars created after 1996 as well as the newer cars without having to question the credibility of the solution. It, like all other devices, is going to read the live status of your car as well as help you with the graphs. The graphs act as a clear indication of the symptoms that can serve as likely issues to your vehicles. Thus, you can exercise attention utilizing this graphing technology of the OBD scanner. 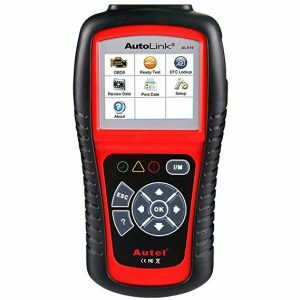 Listed above are amongst the best of OBD scanners that are currently part of the market. If you do not wish to get robbed by the unethical operation of the mechanics (not all), then you ought to be a hold of one of these. Even if you do not know how to resolve a problem, you are going to earn the respect of knowing something on technical lines – further reducing your chance of being robbed. May I know their pricelist?